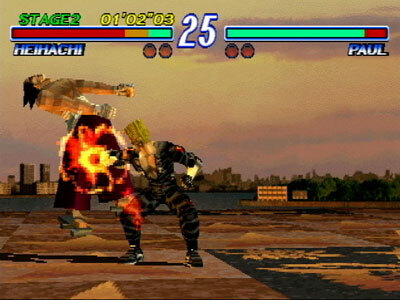 STORY: Two years have passed since the King of the Iron Fist Tournament. On a stormy night, a lone figure fights his way up a rocky cliff until he reaches the top. 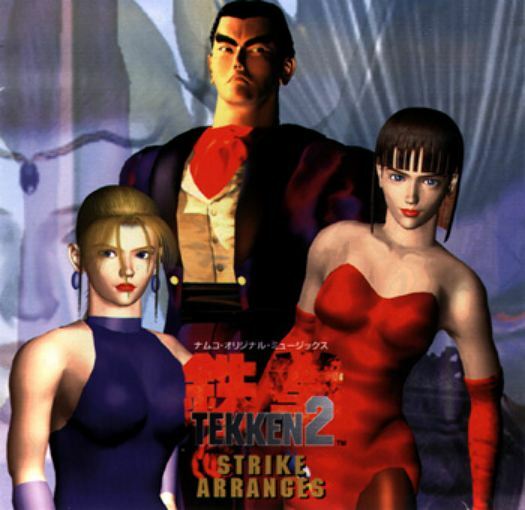 The Mishima Zaibatsu, under the leadership of Kazuya Mishima, has become even more corrupt and powerful than ever before, as well as becoming involved in many illegal operations. These include kidnapping, extortion, smuggling of endangered species for illegal experiments, and blackmail. 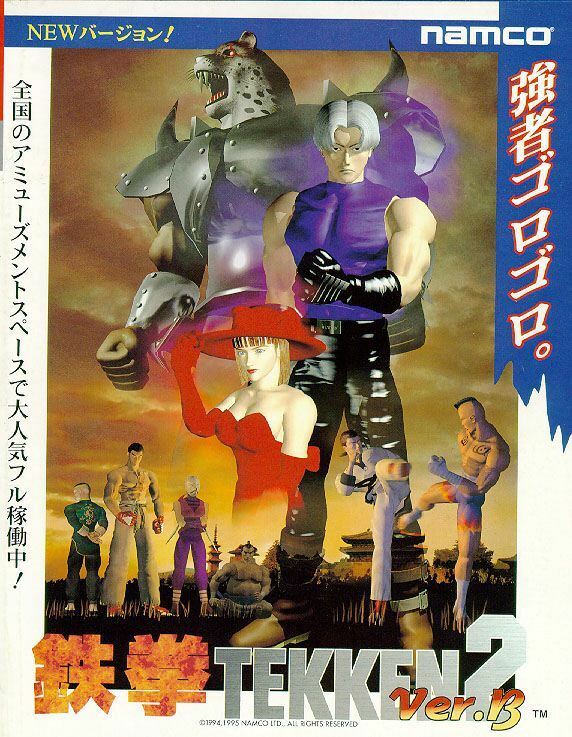 Unknown to everyone, Kazuya is being backed up by a mysterious force known as Devil, who inhabits Kazuya's body and serves as his only counsel. 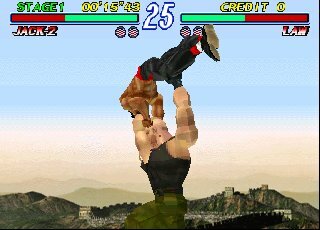 Kazuya's activities have made enemies for him from all corners of the world, one of which is Jun Kazama, an animal rights fundamentalist. 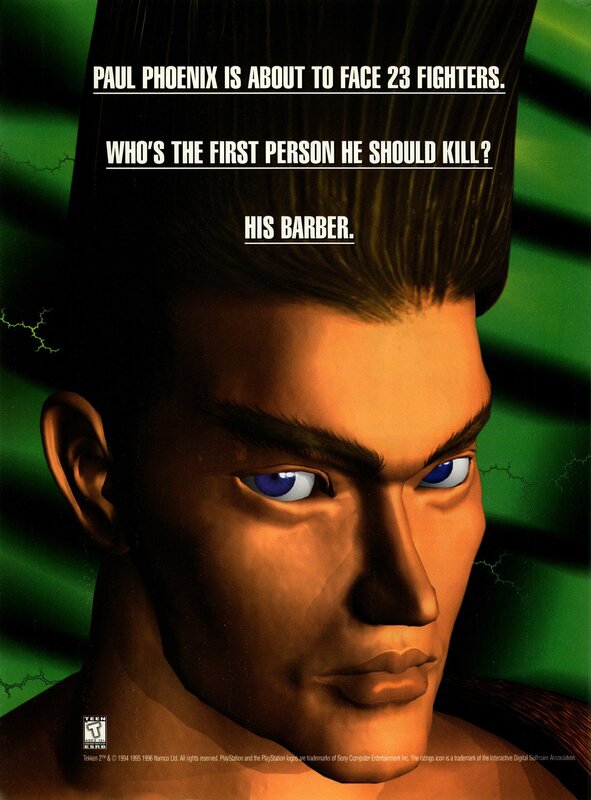 Kazuya's biggest problem, however, is when news reaches his ears that his father, Heihachi Mishima (whom he defeated two years ago in the first King of the Iron Fist Tournament) is alive and plotting revenge against him. 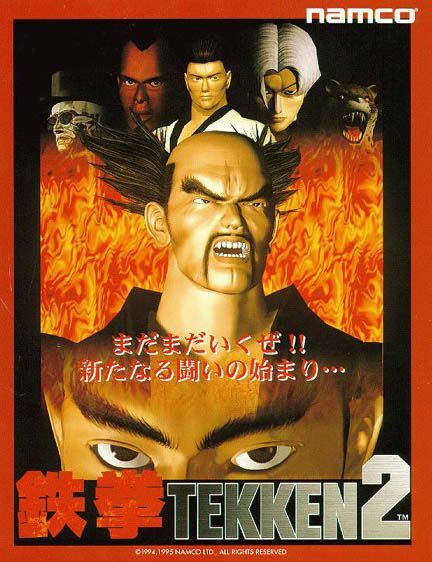 In an attempt to rid himself of Heihachi and his enemies once and for all, Kazuya announces the King of the Iron Fist Tournament 2, with a cash prize one thousand times the first (one trillion dollars). 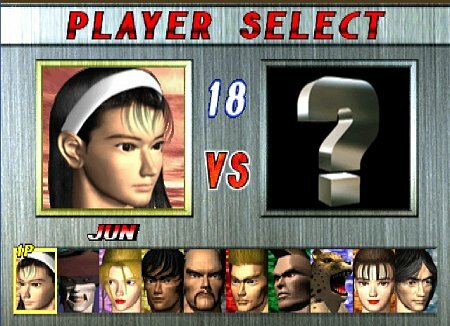 Jun Kazama eventually comes face to face with Kazuya, but rather than arresting him, she finds herself drawn to him (due to Devil's powers). 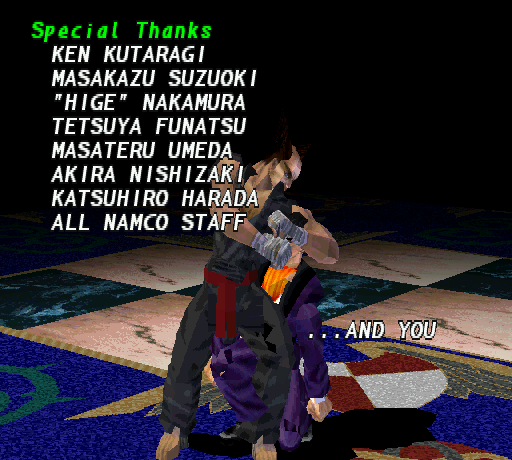 She later ends up pregnant, with Kazuya being the father. 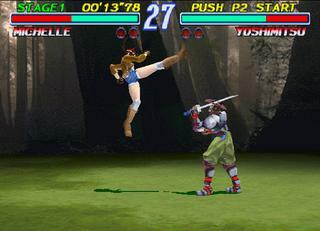 In the confusion, she departs from the tournament. 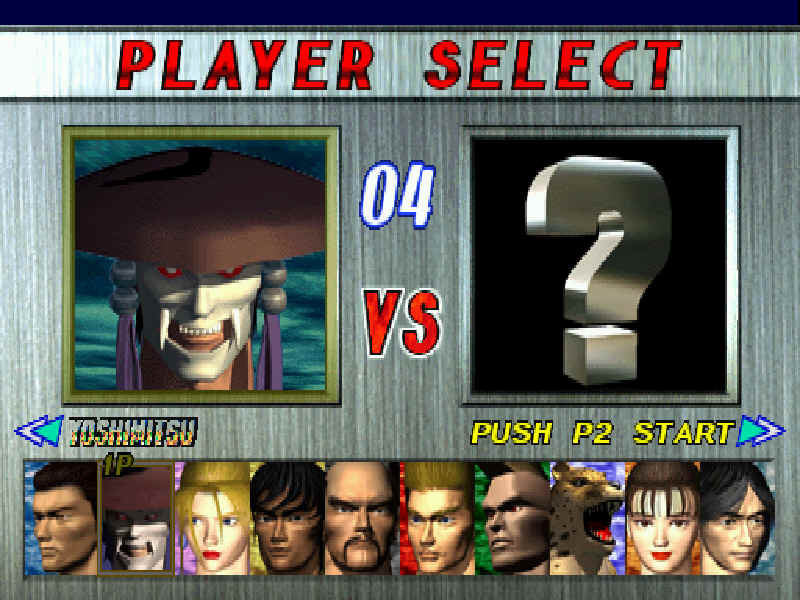 In the final round, Heihachi confronts Kazuya, and they battle once again. 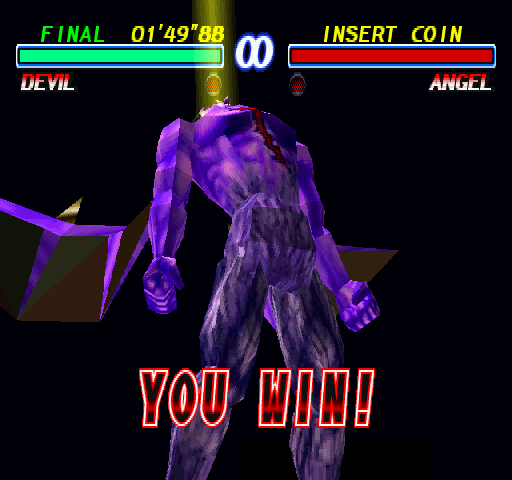 Heihachi wins the first round, prompting Devil to take over Kazuya's body and unleash his full power. 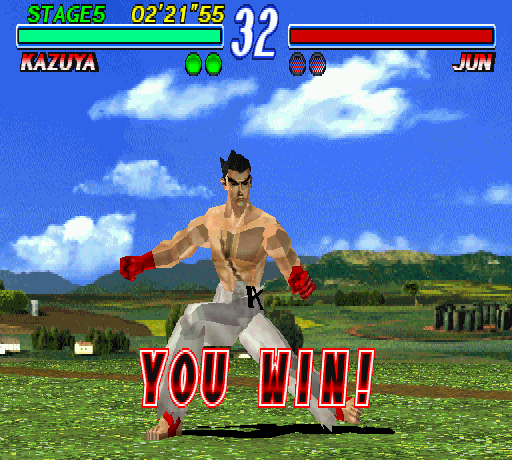 This results with Kazuya becoming a Devil-like creature. 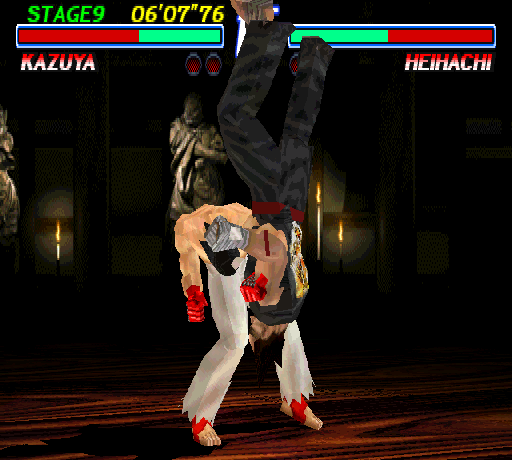 Despite his advantages, Devil is still defeated by Heihachi, and flees the unconscious body of Kazuya. 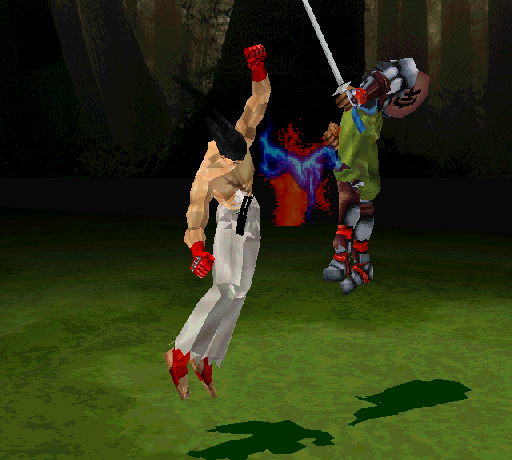 After the tournament, Devil attempts to inhabit the body of Jun's unborn son, but Jun manages to fight him off. 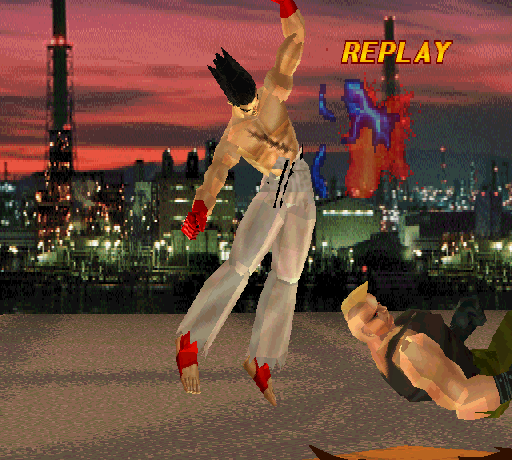 Heihachi, meanwhile, takes Kazuya's body to a volcano, and drops him in. 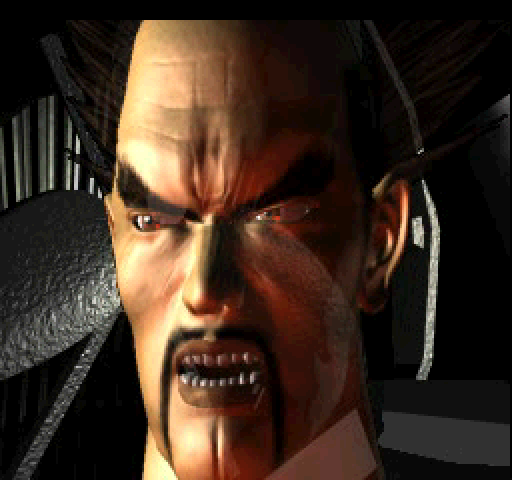 Heihachi then escapes on a helicopter as the volcano erupts behind him, having finally taken his revenge and regained his company. Much better looking character portraits this time around! 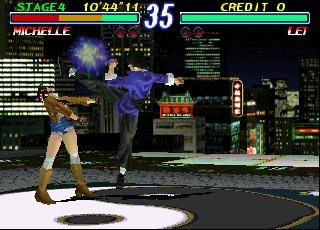 Time release characters in arcade = Ultra hype. 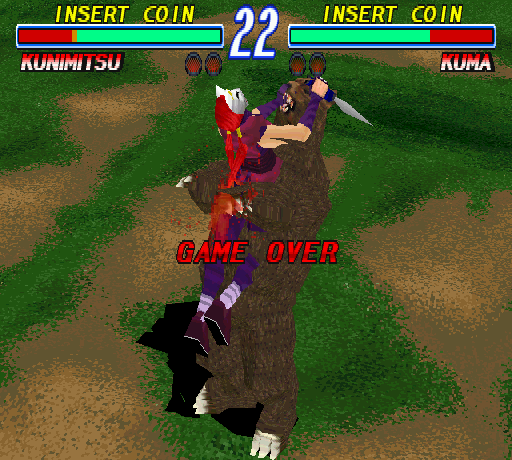 Tekken 2's gameplay is, of course, very similar to that of its predecessor. 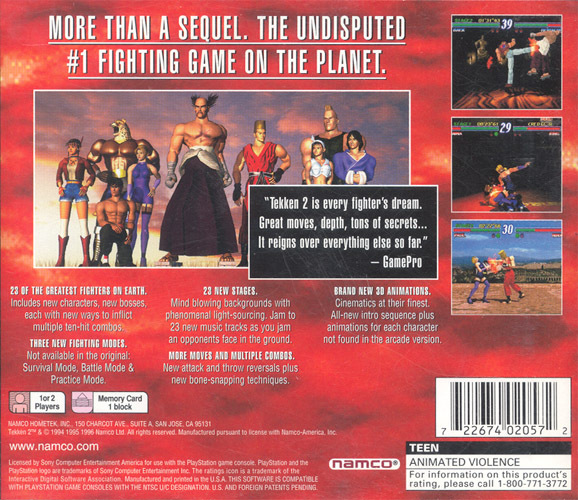 It's played mostly on a 2D plane, as there's still no sidestepping (unless you were using Kazuya... who was a beast in this game, especially since his Wind God fist hit mid as well as high. ...those were the days). 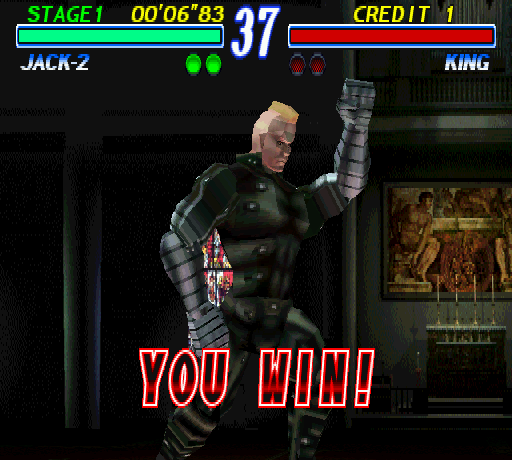 The gameplay is notably smoother than in the first game, especially due to the great new animations. 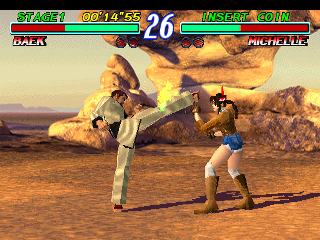 "Counter throws" are introduced for the first time, allowing some characters to grab their opponent's punch or kick and perform a defensive throw. 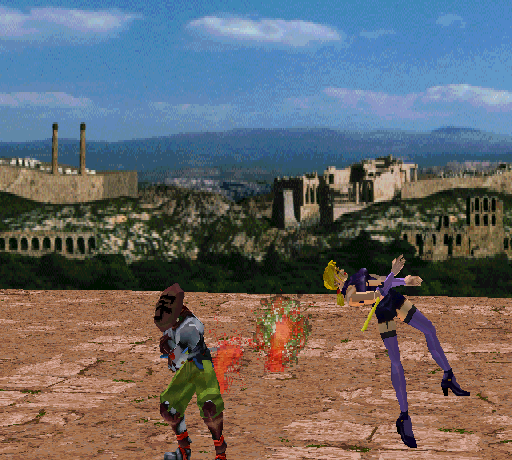 All returning characters from the original Tekken have been given a great selection of new moves and combo-strings, and the character movelists are pretty deep (considering the time). 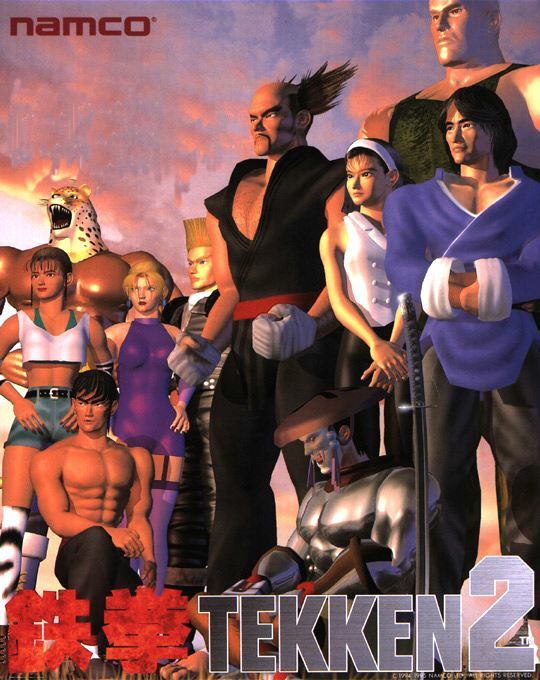 It is worth pointing out that the diverse and unique martial arts-inspired characters allowed Tekken 2 to stand out among the many "less-realistic" arcade fighting games at the time. 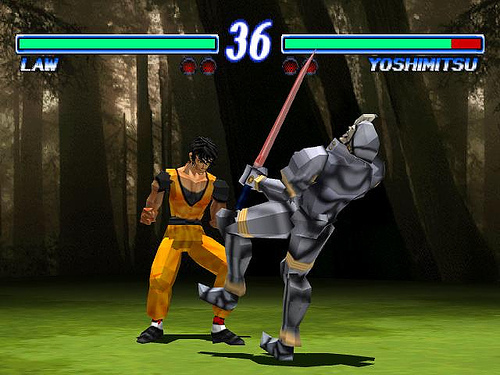 Yoshimitsu's not sure what day it is... after Law's knuckle sandwich. 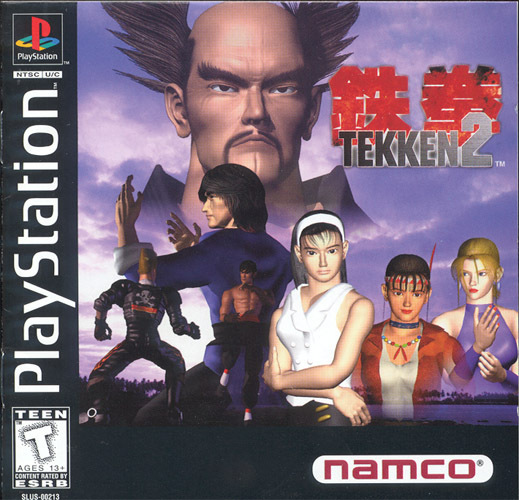 Approximately one year after the arcade release, Tekken 2 hit the Sony Playstation and was simply one of the best fighting games you could play on a home console in 1996/1997. 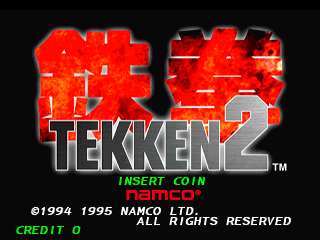 The PS1 version of Tekken 2 was highly acclaimed for its close to arcade-perfect graphics & gameplay, and also because it featured one of the best fighting game presentations to date! 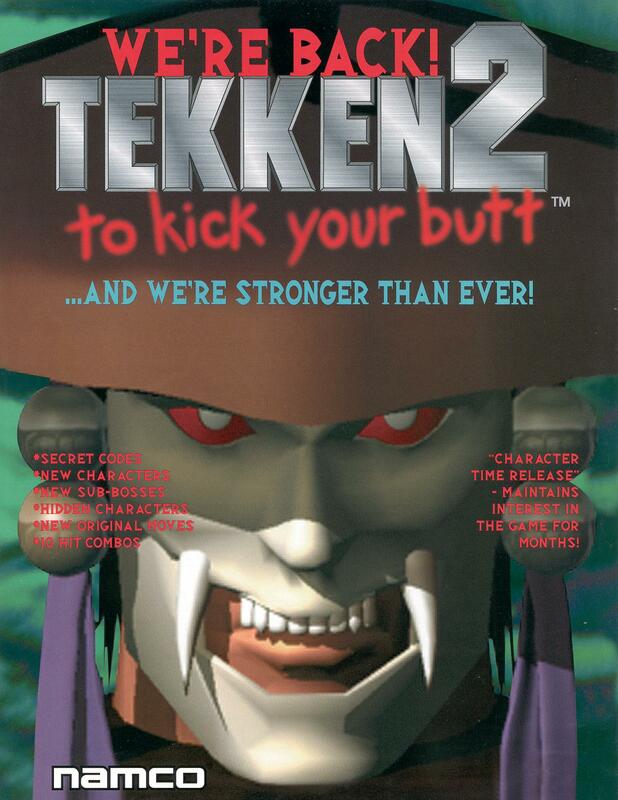 The awesome PS1 intro, impressive FMV character endings, and great options certainly did not go unnoticed by the fans. 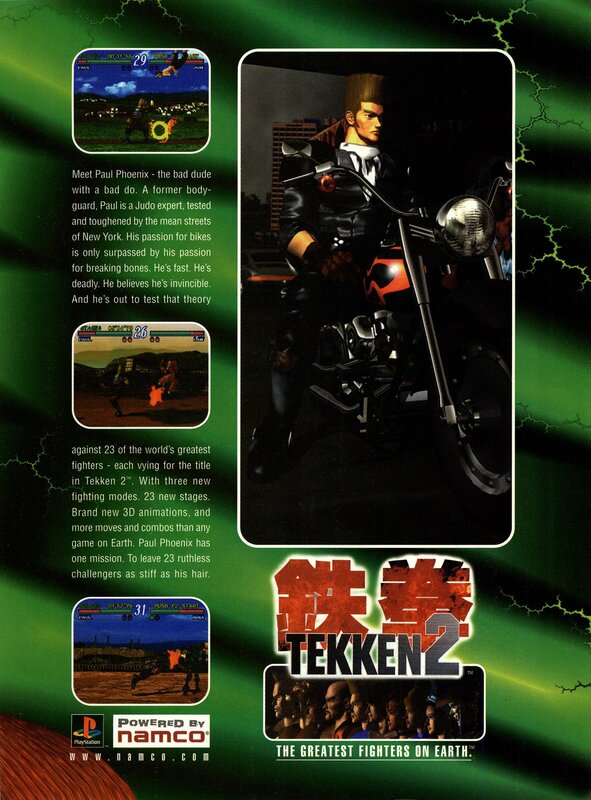 Final Words: Tekken 2 was a massive step forward for the series, building upon the solid foundation of the first installment. 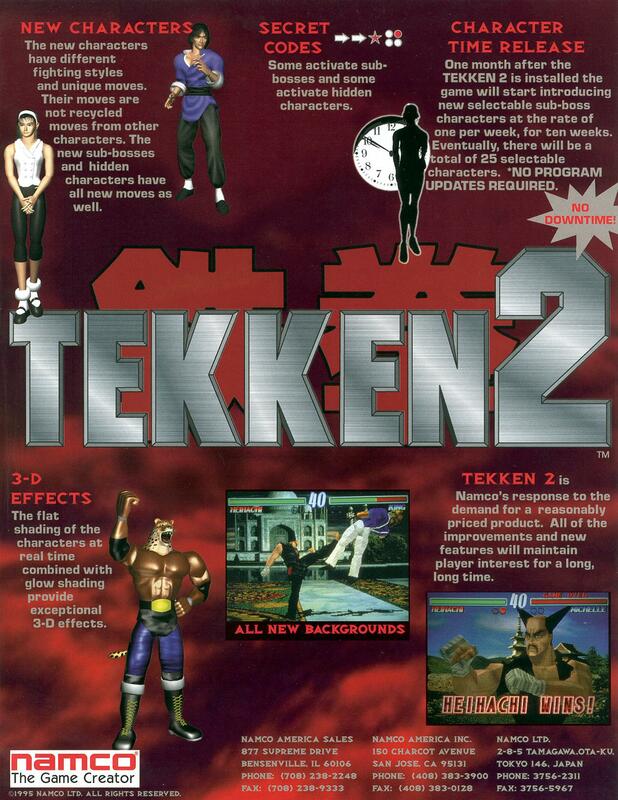 Tekken 2 definitely did its job as a sequel... it added a ton of new content, but didn't change very much from the first game, allowing returning players to easily pick it up and use their favorite character just as they remembered! 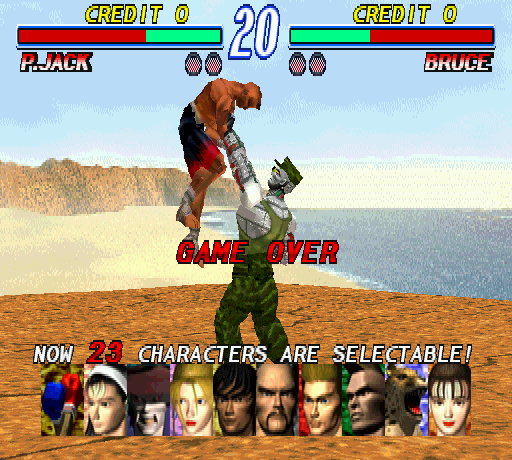 It was a very wise game design "technique," which later became a system Namco would use for the Tekken series for many years to come.